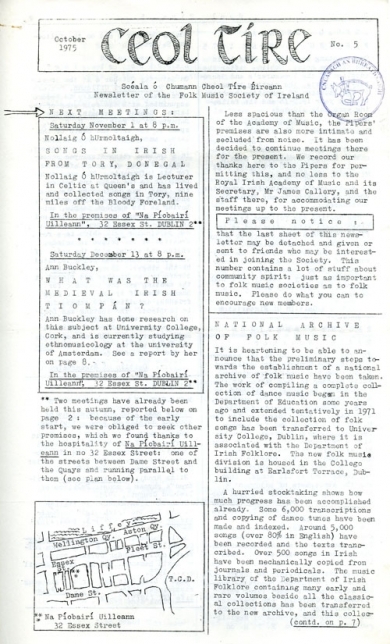 The Folk Music Society of Ireland’s newsletter Ceol Tíre was begun by its editor Hugh Shields in November 1973 and continued by him and Nicholas Carolan (who was Secretary of the Society 1977–1992) until December 1989. 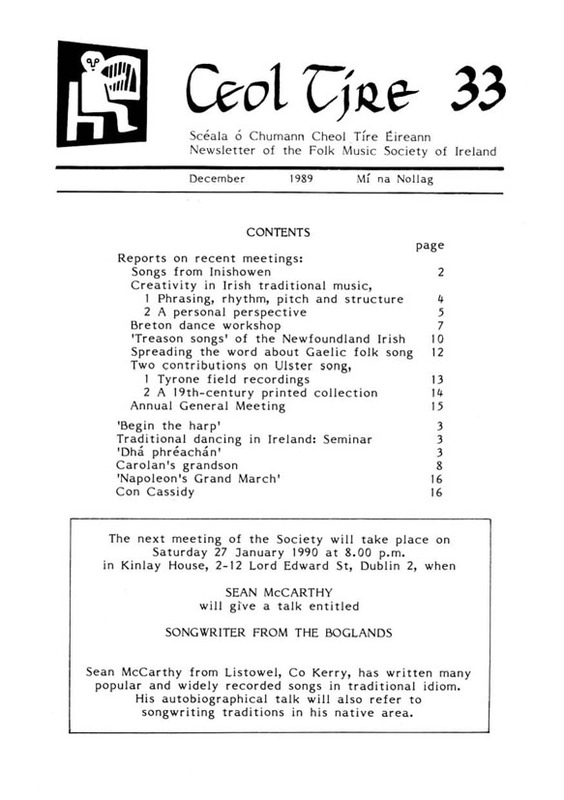 It contained reports of meetings, recitals and seminars, and varied articles and snippets concerning Irish traditional music. The issues are available here in pdf format. The search box on this page is for searching the whole FMSI website (including the Ceol Tíre Contents page). Each issue of the newsletter is partly searchable within its pdf (within the limitations of OCR, which often splits words and misinterprets letters). Ceol Tíre can also be viewed as individual pages in the digital library of the Irish Traditional Music Archive.